With so many headphones to choose from, finding a pair that just feel right becomes a priority. Today, headphones are as much a style statement as they are an audio accessory. If you love to live life accompanied by your favourite soundtrack, your headphones are going to be a near-constant companion, so why settle for phones that don’t feel as much a part of who you are as the clothes you wear? 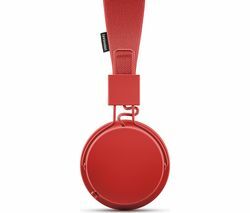 Urbanears headphones are all about matching audio performance with everyday wearability and genuine character. These stylish pieces don’t just sound the part; they look the part. The Plattan ADV Wireless Bluetooth Headphones in indigo show off the Urbanears ethos perfectly. Designed with a keen emphasis on comfort, style and everyday practicality, these eye-catching Urbanears headphones are a pleasure to live with. The Plattan’s ergonomic on-ear design rests comfortable on the ear – so the music won’t have to stop because your ears are uncomfortable – while a 3D hinge enables the phones to adjust to your features and collapse to the size of a fist when required, so travelling with them is a doddle. 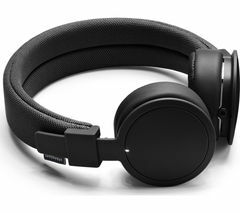 The addition of wireless technology and a ZoundPlug – a unique socket that allows you to share and enjoy music with friends, who can simply plug their Urbanears headphones in a socket on the ear cap – only adds to the ingenious appeal of these special UE headphones. Check out our full collection of headphones to browse the latest Bose, House of Marley and Beats By Dre headphones.